Fontella Marie Bass (July 3, 1940 – December 26, 2012)  was an American R&B and soul singer and songwriter best known for her 1965 hit, "Rescue Me." Martha Bass was an American gospel singer. 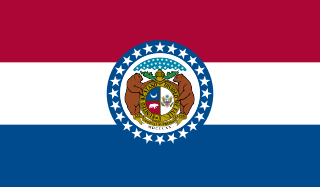 Chain of Rocks is a village in Lincoln County, Missouri, United States. The population was 93 at the 2010 census. Bobby McClure was an American soul singer. KATZ is an Urban Gospel radio station serving the area of St. Louis, Missouri, United States. The iHeartMedia, Inc. outlet broadcasts with power level of 6 kW day/3.5 kW night. Its transmitter is located in East St. Louis, Illinois, and operates from studios in St. Louis south of Forest Park. Lester Bowie was an American jazz trumpet player and composer. He was a member of the Association for the Advancement of Creative Musicians and co-founded the Art Ensemble of Chicago. Two years later she quit the Milton band and moved to Chicago after a dispute with Oliver Sain. She auditioned for Chess Records, who immediately signed her as a recording artist. Her first works with the label were several duets with Bobby McClure, who had also been signed to the label. Released early in 1965, their recording "Don't Mess Up a Good Thing" (credited to Oliver Sain) found immediate success, reaching the top five at R&B radio and peaking at #33 at pop. 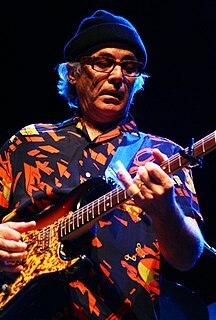 In 1979 the song was covered by Ry Cooder with Chaka Khan on Cooder's album Bop 'Til You Drop . Chicago, officially the City of Chicago, is the most populous city in Illinois, as well as the third most populous city in the United States. With an estimated population of 2,716,450 (2017), it is the most populous city in the Midwest. Chicago is the principal city of the Chicago metropolitan area, often referred to as "Chicagoland", and the county seat of Cook County, the second most populous county in the United States. The metropolitan area, at nearly 10 million people, is the third-largest in the United States, and the fourth largest in North America and the third largest metropolitan area in the world by land area. Tiring of the mainstream music scene, she and husband Lester Bowie left America and moved to Paris in 1969, where she recorded two albums with the Art Ensemble of Chicago – Art Ensemble of Chicago with Fontella Bass and Les Stances a Sophie (both 1970). The latter was the soundtrack from the French movie of the same title. Bass's vocals, backed by the powerful, pulsating push of the band, have allowed the "Theme De YoYo" to remain an underground cult classic ever since. [ citation needed ] She also appeared on Bowie's The Great Pretender (1981) and All the Magic (1982). The next few years found Bass at a number of labels, but saw no notable successes. After her second album, Free, flopped in 1972, Bass retired from music and concentrated on raising a family; she had four children with Bowie. She returned occasionally, being featured as a background vocalist on several recordings, including those by Bowie. In 1990, she recorded a gospel album with her mother and brother David Peaston, called Promises: A Family Portrait of Faith and undertook a fall tour of the US West Coast, called "Juke Joints and Jubilee", which featured both traditional gospel and blues performers. During the 1990s, she hosted a short-lived Chicago radio talk show, and released several gospel records on independent labels. In 1992, through her old friend Hamiet Bluiett, she was invited to perform three tracks on the World Saxophone Quartet album Breath of Life . Like many artists of her time, Bass experienced a revival of interest. She was featured on the PBS Special and accompanying DVD, Soul Celebration. Soul Spectacular recorded live at Heinz Hall in Pittsburgh, Pennsylvania, November 2001. Her voice can be heard on two tracks on the Cinematic Orchestra's 2002 album Every Day , and another two tracks on their 2007 album Ma Fleur . 1965 "Don't Mess Up a Good Thing"
"You'll Miss Me (When I'm Gone)"
Etta James was an American singer who performed in various genres, including blues, R&B, soul, rock and roll, jazz and gospel. Starting her career in 1954, she gained fame with hits such as "The Wallflower", "At Last", "Tell Mama", "Something's Got a Hold on Me", and "I'd Rather Go Blind". She faced a number of personal problems, including heroin addiction, severe physical abuse, and incarceration, before making a musical comeback in the late 1980s with the album Seven Year Itch. Chicago soul is a style of soul music that arose during the 1960s in Chicago. Along with Detroit, the home of Motown, and Memphis, with its hard-edged, gritty performers, Chicago and the Chicago soul style helped spur the album-oriented soul revolution of the early 1970s. Ann Lee Peebles is an American singer and songwriter who gained celebrity for her Memphis soul albums of the 1970s for Hi Records. Two of her most popular songs are "I Can't Stand the Rain", which she wrote with her husband Don Bryant and radio broadcaster Bernie Miller, and "I'm Gonna Tear Your Playhouse Down". In 2014, Ann Peebles was inducted into the Memphis Music Hall of Fame. The Reverend Dr. James Edward Cleveland was a gospel singer, musician, and composer. Known as the King of Gospel music, Cleveland was a driving force behind the creation of the modern gospel sound by incorporating traditional black gospel, modern soul, pop, and jazz in arrangements for mass choirs. Throughout his career, Cleveland appeared on hundreds of recordings and earned 4 Grammy Awards. He was the first gospel musician to earn a star on the Hollywood Walk of Fame. He was inducted into the Gospel Music Hall of Fame in 1984. For his pioneering accomplishments and contributions, he is regarded by many to be one of the greatest gospel singers that ever lived. He is best known for his gospel classics, "Lord, Help Me To Hold Out," "Peace Be Still," "I Don't Feel No Ways Tired" and "Jesus Is The Best Thing That Ever Happened To Me" just to name a few. Bonnie Bramlett is an American singer and occasional actress known for her distinctive vocals in rock and pop music. She began as a backing vocalist for blues and R&B singers; performed with her husband, Delaney Bramlett, as Delaney & Bonnie; and continues to sing as a solo artist. Judy Clay was an American soul and gospel singer, who achieved greatest success as a member of two recording duos in the 1960s. Barbara Jean Acklin was an American soul singer and songwriter, who was most successful in the 1960s and 1970s. Her biggest hit as a singer was "Love Makes a Woman" (1968). As a songwriter, she is best known for co-writing the multi-million-selling "Have You Seen Her" (1971) with Eugene Record, lead singer of the Chi-Lites. Shirley Murdock is an American R&B singer-songwriter, who is best known for her 1986 R&B hit single "As We Lay" and for her vocals on Zapp and Roger hit single "Computer Love". Her lead vocal special guest appearance with SmoothJazz artist Ben Tankard, climbed to #1 Gospel and #20 on Billboard Top 200 on WOW Gospel 2006 and is certified Gold. Their collaboration of the Lionel Richie song "Jesus Is Love" is one of the most played songs on Sirius XM Radio gospel channel for eight years since its initial release. Overton Vertis "O. V." Wright was an American singer who is generally regarded as a blues artist by African American fans in the Deep South; he is also regarded as one of Southern soul's most authoritative and individual artists. His best known songs include "That's How Strong My Love Is" (1964), "You're Gonna Make Me Cry" (1965), "Nucleus of Soul" (1968), "A Nickel and a Nail" (1971), "I Can't Take It" (1971) and "Ace of Spades" (1971). David Peaston was an American R&B and gospel singer who in 1990 won a Soul Train Music Award for Best R&B/Soul or Rap New Artist. He was mostly known for the singles, "Two Wrongs " and "Can I? ", the latter of which was originally recorded by Eddie Kendricks. Barbara Carr is an American blues singer. The discography for the American singer Etta James consists of 28 studio albums, 3 live albums, and 6 compilations. She has also issued 58 singles, one of which, "The Wallflower ," reached number 1 on the Rhythm and Blues Records chart in 1955. Oliver Sain Jr. was an American saxophonist, songwriter, bandleader, drummer and record producer, who was an important figure in the development of rhythm and blues music, notably in St Louis, Missouri. Mitty Lene Collier is an American church pastor, gospel singer and former rhythm and blues singer. She had a number of successful records in the 1960s, of which probably the best known is "I Had A Talk With My Man". Leonard Caston Jr. is an American rhythm and blues songwriter, record producer, pianist and singer. He recorded for both the Chess and Motown labels in the 1960s and 1970s, and co-wrote or co-produced several major hit records, including Mitty Collier's "I Had A Talk With My Man" (1964), The Supremes' "Nathan Jones" (1971), and Eddie Kendricks' "Keep On Truckin'" (1973) and "Boogie Down" (1974). ↑ Eagle, Bob; LeBlanc, Eric S. (2013). Blues - A Regional Experience. Santa Barbara: Praeger Publishers. p. 141. ISBN 978-0313344237. ↑ "Review/Music; The Bass Clan Does Its Individual Things". nytimes.com. 1 2 "Fontella Bass dead at 72". KSDK.com. Archived from the original on 27 January 2013. Retrieved 27 December 2012. 1 2 3 4 5 6 7 "Sorry, We Can't Find That Page - Search MSU". Msu.edu. Retrieved 2 May 2017. ↑ Sorkin, Michael D., and Kevin Johnson, "Fontella Bass dies; singer of 'Rescue Me' was a hit in US and a bigger hit in Europe", St. Louis Post-Dispatch, Friday, December 28, 2012. ↑ Murrells, Joseph (1978). The Book of Golden Discs (2nd ed.). London: Barrie and Jenkins Ltd. p. 186. ISBN 0-214-20512-6. ↑ Pierre Perrone (28 December 2012). "Fontella Bass: Singer famed for her powerful interpretation of the million-seller 'Rescue Me'". The Independent. Retrieved 29 December 2012. ↑ "'My Song Rescued Me'". The Tuscaloosa News. November 25, 1995. ↑ Kevin C. Johnson, "R&B and gospel singer David Peaston dies", St Louis Post-Dispatch, February 3, 2012. ↑ "Fontella Bass Obituary". Legacy.com. Retrieved 30 August 2013. 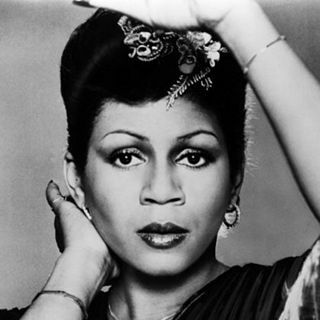 ↑ "Fontella Bass, 72, Singer of 'Rescue Me,' Is Dead". The New York Times . 28 December 2012. Retrieved 2 May 2017. ↑ "Fontella Bass (Hot Soul Songs)". billboard.com. ↑ "Fontella Bass (Hot 100)". billboard.com.